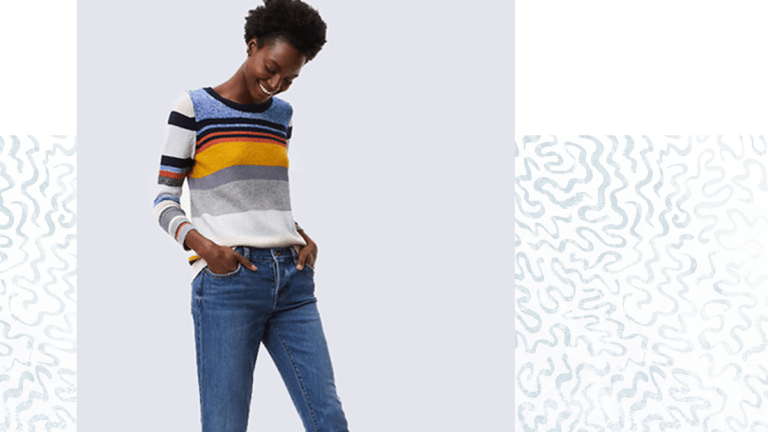 Finding jeans that perfectly flatter every line and curve is a lifelong journey—but we think we can help cut down your search time. 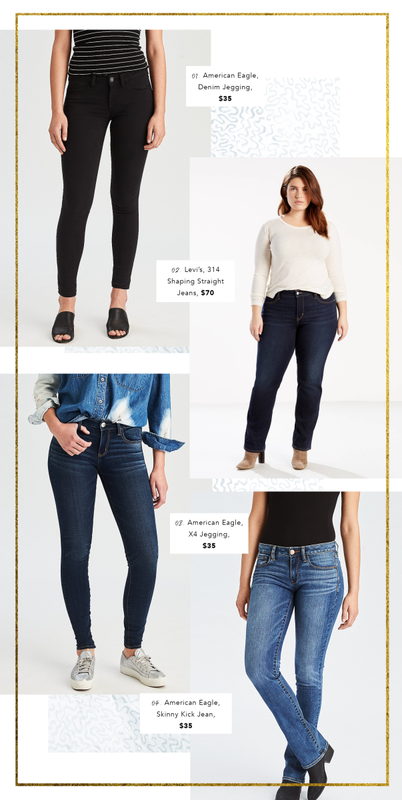 Check out our guide for finding the best jeans for your body type, and get one step closer to the baby blues of your dreams. 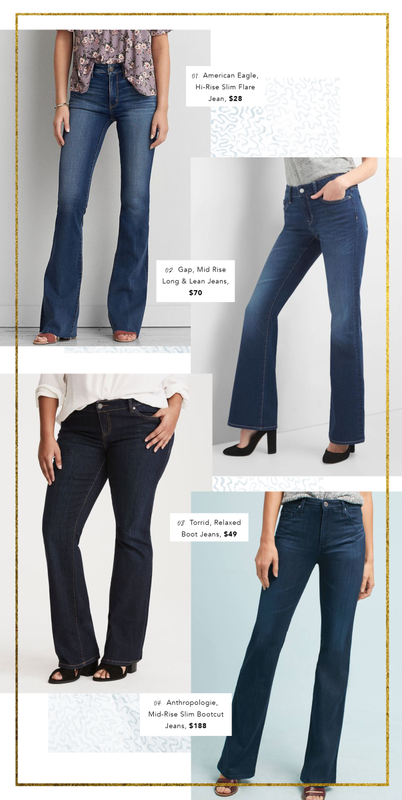 Hourglasses have the ability to rock any jean style, but you’ll hit gold when you find a pair with a contoured waist. Many brands specify that their fit is “curvy,” meaning they’re made specifically to mirror the gradual narrowing of your rear to your waist. 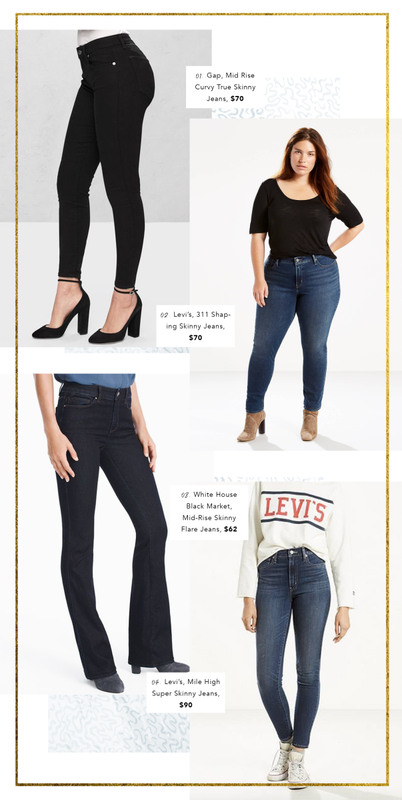 Pear-shaped women often have similar waist-gapping issues as hourglass women, so many of the same rules apply when finding a pair of flattering jeans. 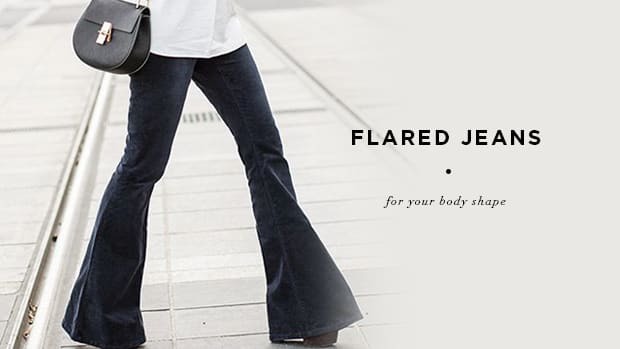 Look for jeans that have a mid- to high-rise contoured waistband. A contoured waist will hug your hips while seamlessly blending into your natural waistline. 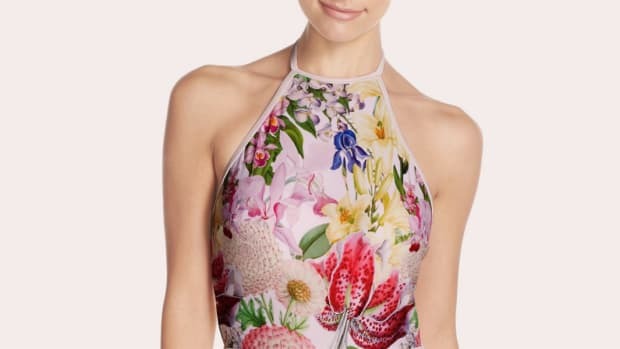 Our last tip is to consider flared styles that will balance out the volume of your hips, thighs, and rear to give you an overall hourglass silhouette. If you’re heart-shaped, your denim concerns are vastly different from the pear shapes because your proportions are opposite. A heart shape has narrow hips, so the goal is to create volume in the leg area in order to balance the volume of your torso. 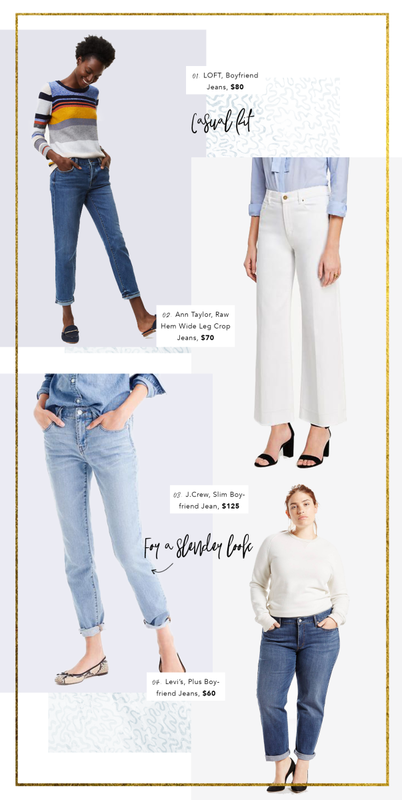 We suggest trying the loose-fitting boyfriend jean or the structured wide-leg pant. Petite essentially just means you’re shorter and you have a smaller frame, so the other body type categories still apply to you. 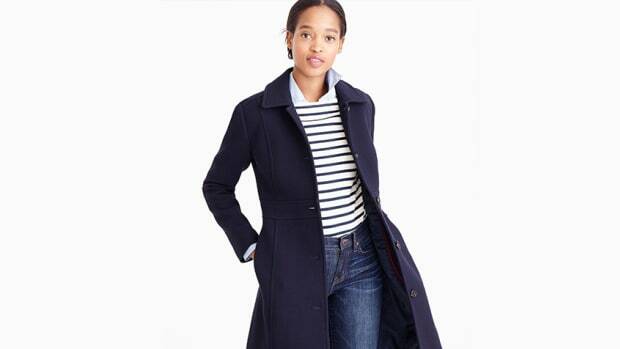 The biggest tip for petite ladies, however, is to select jeans that go past the ankle bone, as styles that hit above or directly at the ankle bone will make your legs appear shorter. 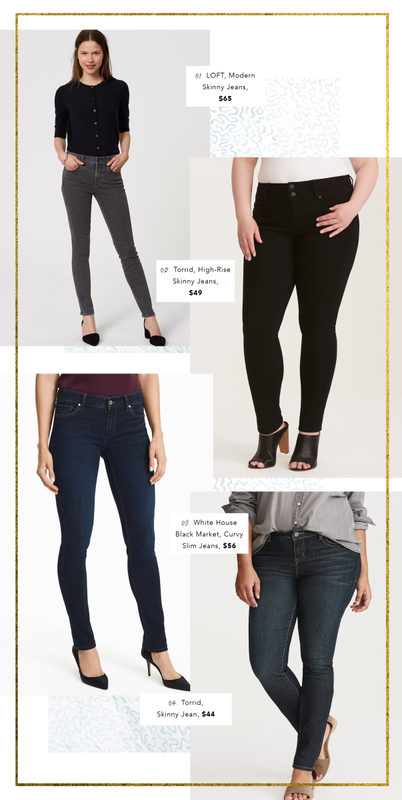 Because your body type is often described as “straight up and down,” try selecting jeans that play up your curves. Choose a low- to mid-rise waist that cuts straight across your hips to create the illusion of width. This will give the appearance of having more variation of volume throughout your silhouette. We also suggest trying a slight flare that will similarly create more volume (aka curves) throughout your leg. 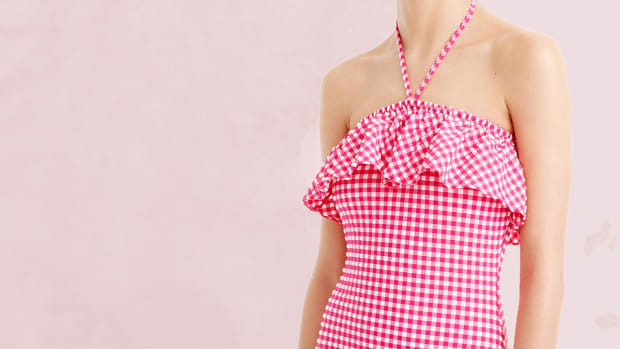 The search for the perfect one-piece starts here. 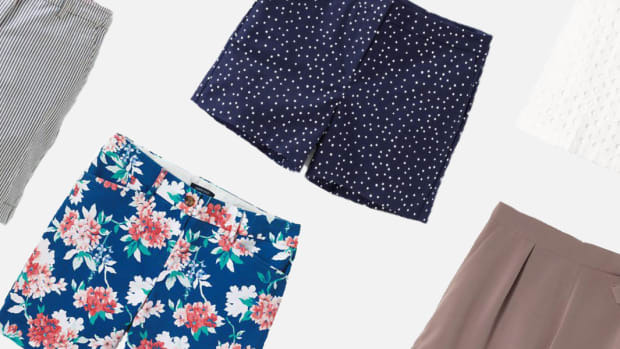 Cool off in style with the most flattering shorts for your shape.